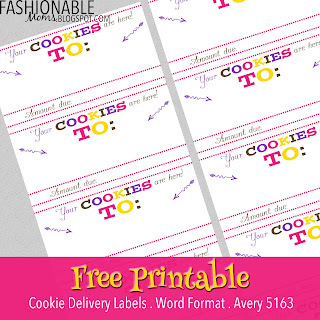 My Fashionable Designs: Cookie Delivery Labels! In order to keep these printables FREE, I do not offer customization or edits. Please visit my Etsy shop for customization inquiries and quotes! Created by Jamie/fashionablemoms.blogspot.com for your personal use. Professional printing okay!